Your business is up and running, you have set yourself up and you are generating leads….but how do you track those leads and ensure that as many as possible become valued customers? 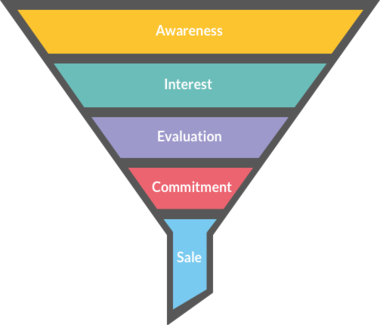 Most people are familiar with the concept of a traditional sales funnel but might be less confident on the workings of a digital marketing funnel. I certainly was before starting my own business. At Pilcro we have learnt a lot in the last few months about how to manage your leads and move them through your funnel so I wanted to share some of those learnings. 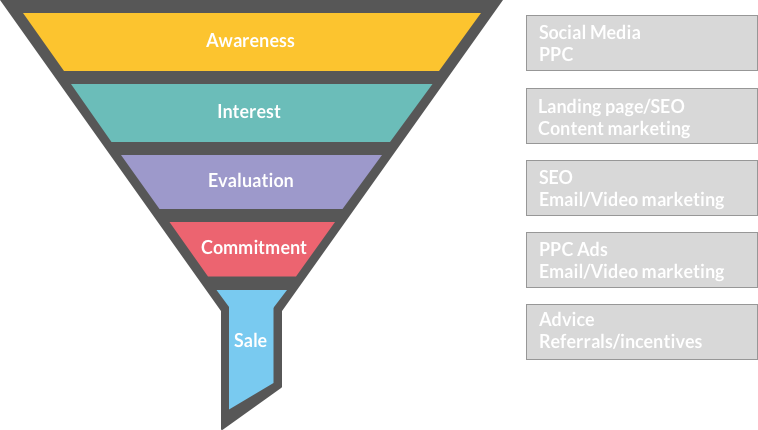 What is a digital marketing funnel? At its simplest, a digital marketing funnel is a way of visualising how people or business can move through a marketing process to become customers. The picture below gives a generic example of the different stages of a marketing funnel. it is the journey of your customer from knowing nothing about your business, to becoming aware, to gaining interest, to making a decision about a purchase, to becoming a customer and then, ultimately, to brand loyalty and hopefully advocacy. 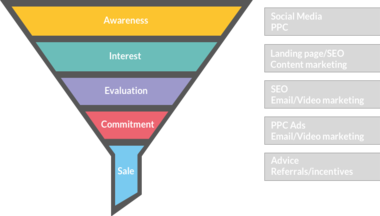 Why is knowing about your digital marketing funnel important? Its really important to understand your target customers’ journey through your marketing funnel. You need to know how they react to your marketing so that you can improve the marketing tactics that you use. And, most importantly, you can learn if there is a stage in you marketing funnel where your customers are getting stuck. Its also important to understand the tools that you can employ at each stage of the journey, what your client might do that is outside of your control and how you can influence them. For example, a typical online purchaser will spend some time in the interest/evaluation phase of your funnel because they will want to conduct their own online research. 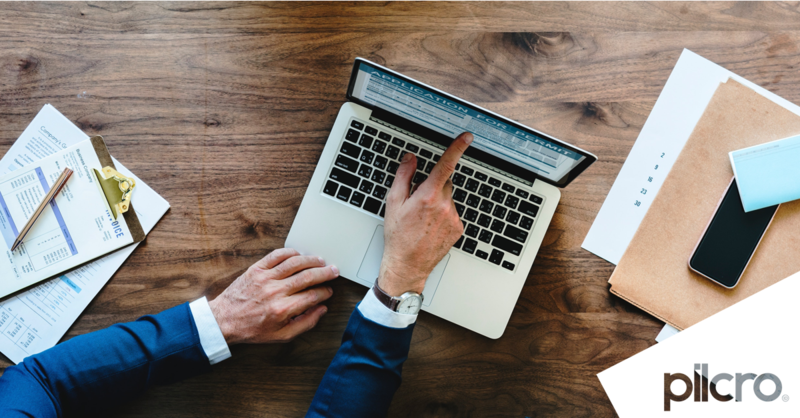 At that stage, you need to make sure that the information that they are looking to find about your company is readily available and comes up when they search for it. Similarly, once they become a customer, you can super-charge the influence that they have by asking them to leave reviews of your product or encouraging them to share. Some companies also employ referral or incentive schemes. 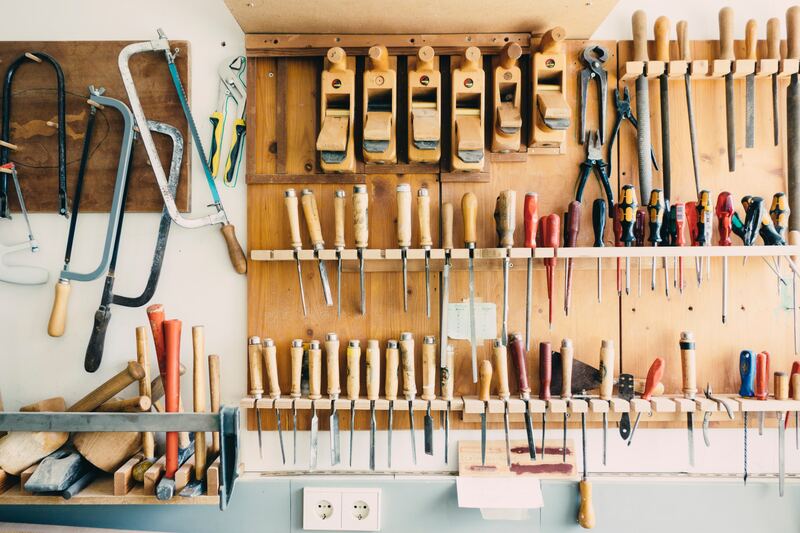 You need to be on top of the different tools that you can employ to ensure that your customers progress through to be the advocates that you need them to be. At Pilcro we knew we were not converting a sufficient number of our leads into customers. Using the data we had collected from our website traffic and users we dug into the details of our marketing funnel to see where our users were getting stuck so that we could make changes to improve how they moved through to the next stage. Here are some of the things that we learnt. What tactics can you employ? Your marketing funnel can only be as good as the leads that you put into it. Make sure that you clearly define your market and properly qualify your leads. 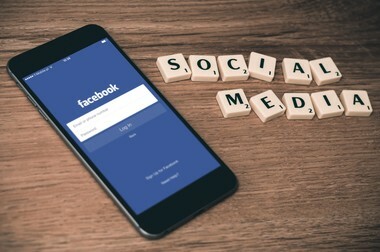 Social media channels (Facebook, Instagram, Linkedin, Youtube, Pinterest) are your first port of call when building brand awareness and educating people about your company. This can be supplemented with good quality content marketing. It is important to choose the right social media channels for your business so that you are hitting the right audience from the start. You definitely do not want to be wasting your precious energy on a platform that wont provide you with the customers you want or users who are not interested in your business. You can then measure where the majority of your leads come from and work on optimising or re-targeting on that channel or taking those learnings to a new channel. We actually sat down and drew out our funnel on a white board, marked up all the tactics and tools we were using and then wrote down the number of people that we estimated were in each stage of the funnel. We did this using various different data points to help us see which numbers correlated to the number of people we were putting into the top of the funnel and where we thought our users were getting stuck. From this data we were able to work out different tests we wanted to run to see whether we could improve the number of people moving through to the bottom of the funnel. Depending on how much data you have available to you and how good it is you can get pretty granular on your tests! For example: does posting at different times of day/days of the week help your statistics? 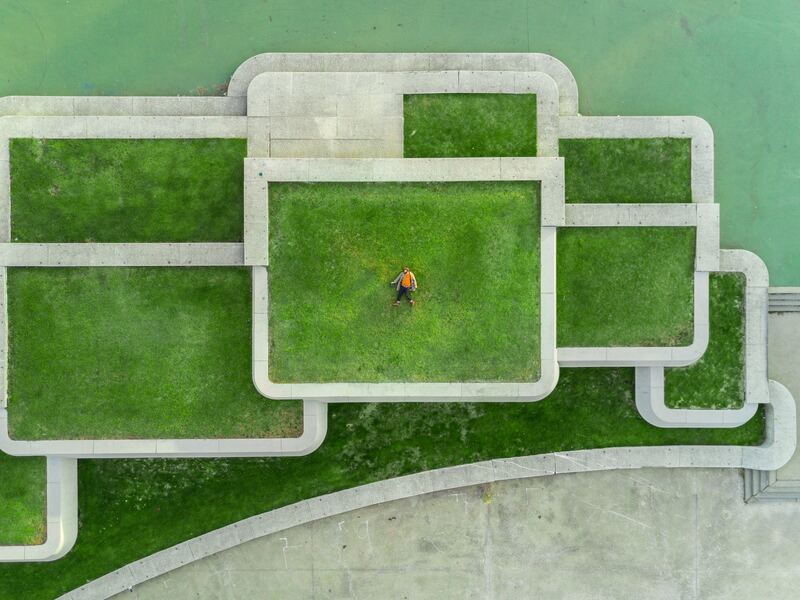 What is the main call to action on your homepage? Did you make sure you were promoting a particular celebration day (eg mother’s day)? 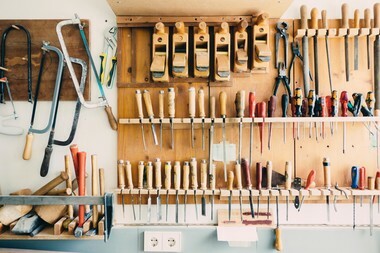 It also helps to write down which tools you are using for each tactic you are employing (eg facebook ads, Email tools, SEO). This lets you understand your tech stack and where you could possibly streamline or improve your processes. Anything you can automate is also a time and sanity saver! Reducing friction in your marketing funnel can help you make sure that people progress through the different stages more easily. Basecamp is a great example of this. When you hit their landing page you can sign up by providing your email or just sign in with your Google account. No credit card is needed as they run a free trial. So in order to get started, all you need to provide is an email address. We have tried to emulate this approach at Pilcro. Pilcro is now a freemium product and you do not need to provide any information to set up a Pilcro account. You sign in with your Google account and for teams of up to four users its completely free! The key to all these tactics is to track what you change and the measure the results. That way you can know what is working and what to get rid of as soon as possible. It is also really helpful to set goals for you to work towards. You can dig into the user behaviour on your website, analyse what your website traffic is made up of and measure the number of users that move through the different stages of your funnel. We use Google Analytics but there are other similar tools to help you to understand the data that you have. Xanthe Kueppers is a co-founder at Pilcro. Pilcro is a free brand management software tool which you store and share in your Google Suite. Could Your Brand Asset Software Be Much Simpler?